Synopsis: In his third year at Hogwarts, Harry Potter is facing a new threat, in the form of the dastardly Sirius Black who escapes from Azkaban Prison and is believed to be after Harry. Review: The Harry Potter fandom are certainly a passionate bunch, and although there are those out there who may not have enjoyed what he brought to the franchise, every Potter fan ought to raise their wands to Chris Columbus. The director behind the first two films brought a steady hand to both movies and ensured the solid foundations of the franchise were laid. For the third outing to Hogwarts however, Columbus chose not to direct. Instead the director’s wand was passed to Mr Alfonso Cuarón, and what an inspired choice that turned out to be. After his brave battles in taking down You-Know-Who on the back of a man’s head and You-Know-Who again in his younger self, Harry has plucked up the courage and decided enough is enough with his ridiculously evil muggle family, and escapes into more familiar and friendly terrain, in the company of his best friends Ron and Hermione. Yet before he goes, there is a hilarious incident with another member of his nasty muggle relatives. He soon finds himself back on that train to Hogwarts for the commencement of his third year, and it’s on that train when the viewer realises, that this year at Hogwarts, things are going to get darker and creepier than ever before, not least with the sinister Dementors that are lurking around Hogwarts. Cuaron is certainly an outstanding visual director, and with this film he shows off his considerable talent in more than a few brilliant sequences. 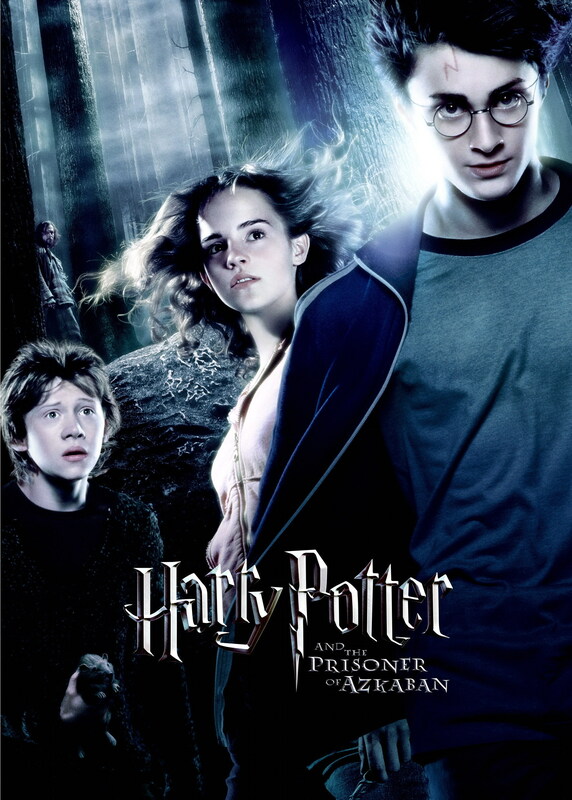 The film’s visual qualities have certainly taken a big leap forward when compared to the first two movies, and the film takes on a considerably more darker tone which is epitomised by the presence of these Dementors who are at Hogwarts because of the man who has escaped from Azkaban and is said to be coming to kill Harry, this would be one Sirius Black, played excellently by Gary Oldman. Kloves is again penning the screenplay, and he understandably does have to axe some material to streamline the script, yet the translation from page to screen remains at a consistently solid level. Additionally, the action is much more intense in this instalment and incorporates some very exciting elements such as time travel into the story. The acting from the main trio remains at a steady pace, they’re certainly not Oscar worthy, but their performances are assured and it’s clear that they are growing in confidence. The performances of the veterans if you will such as Rickman and Oldman certainly help bring the acting standard up a couple of good pegs. This is further aided by the tremendous work of David Thewlis playing new Professor Lupin, and the introduction of Michael Gambon as Dumbledore, having taken over the role from the late Richard Harris, proved to be another excellent casting choice. The film’s effects are also for the most part, considerably improved, except in the case of the werewolf, well the less said about that the better, it could and should have been so much better. Darker in tone from the word go, but with plenty of humour too, Cuaron delivers terrific visuals and a really gripping story that can delight, and maybe intimidate, viewers of all ages in equal measure. I don’t know why but this Harry Potter movie will always be my least favorite. I don’t know if it’s the vibe or the change of director, but something about it was just so messy to me. To each their own of course, and it is by no means a bad movie. I’m too much of a Harry Potter fan to dislike anything HP-related haha. Great review though, and nice blog too. Would you by any chance be interested in sharing your work on Movie Pilot/Creators? Feel free to shoot me an e-mail if you’d like me to expand on that. You’ll be able to find my contact details on my blog.